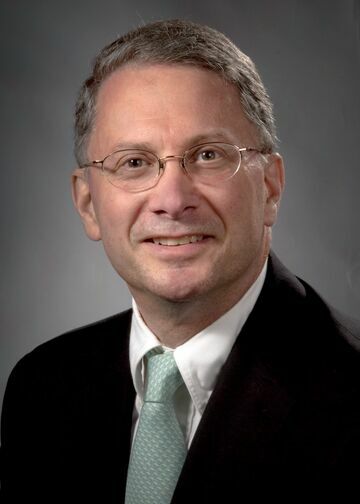 Dr. Richard Furie, Chief of the Division of Rheumatology at Northwell Health, is a rheumatologist whose activities for the last several decades have focused on patient care, physician education, and clinical research in the area of anti-rheumatic drug development. He directs The Program in Novel Therapeutics, the Health System’s clinical research program in musculoskeletal disease. He also directs the SLE and Autoimmune Disease Treatment Center, which has become internationally recognized for its role in the development of new therapies for SLE. Regarded as one the senior rheumatologists in the New York metropolitan area, he has been on the Boards of Directors of the local chapters of the Arthritis Foundation and the Lupus Alliance of America and has been a member of the Medical-Scientific Advisory Council of the Lupus Foundation of America as well as its Lupus News editorial board. He also is on the Medical and Scientific Advisory Board of the SLE Foundation as well as the Alliance for Lupus Research Scientific Advisory Board. Dr. Furie has served on many committees of the American College of Rheumatology, including the College’s Board of Directors. Although often featured as a speaker at national and international conferences, Dr. Furie’s favorite educational venue is at home with the Hofstra Northwell medical students and Northwell Health internal medicine residents. Dr. Furie’s research focus has been in systemic lupus (SLE) and related diseases such as the antiphospholipid syndrome. Specifically, he has played an instrumental role in drug development and clinical trial design in SLE and lupus nephritis. Known as The Program in Novel Therapeutics, the division’s research program has established itself as a national and international leader in clinical trials. Jacobi AM, Huang W, Wang T, Freimuth W, Sanz I, Furie R, Mackay M, Aranow C, Diamond B, Davidson A. “Effect of long-term belimumab treatment on B cells in systemic lupus erythematosus: Extension of a phase II, double-blind, placebo-controlled, dose-ranging study.” Arthritis Rheum 2010; 62(1): 201-210. Arad A, Proulle V, Furie RA, Furie BC, Furie B. “β2 glycoprotein-1 autoantibodies from patients with antiphospholipid syndrome are sufficient to potentiate arterial thrombus formation in a mouse model.” Blood 2011; 117(12): 3453-9. Merrill JT, Buyon JP, Furie RA, Latinis KM, Gordon C, Hsieh HJ, Brunetta P. “Assessment of flares in lupus patients enrolled in a phase II/III study of rituximab (EXPLORER).” Lupus. 2011; 20(7):709-16. Furie RA, Petri M, Zamani O, Cervera R, Wallace DJ, Tegzová D, Sanchez-Guerrero J, Schwarting A, Merrill JT, Chatham W, Stohl W, Ginzler EM, Hough DR, Zhong ZJ, Freimuth W, van Vollenhoven RF. “A phase 3, randomized, placebo-controlled study of belimumab, a monoclonal antibody that inhibits BLyS, in patients with active systemic lupus erythematosus.” Arthritis Rheum 2011; 63(12):3918-3930. Rovin BH, Furie R, Latinis K, Looney RJ, Fervenza FC, Sanchez-Guerrero J, Maciuca R, Zhang D, Garg JP, Brunetta P, Appel G; for the LUNAR Investigator Group. “Efficacy and safety of rituximab in patients with active proliferative lupus nephritis: The lupus nephritis assessment with rituximab (LUNAR) study.” Arthritis Rheum 2012; 64(4):1215-26. Horowitz D, Furie R. “Does belimumab reduce disease activity in adults with systemic lupus erythematosus?” Clin Med Rev Ther 2012; 4:71-78. Horowitz D, Marder G, Furie R: “Musculoskeletal System: Articular Disease, Bone Metabolism in Systemic Lupus Erythematosus.” Edited by Lahita RG. New York, Elsevier, 2010. Bogachuk E, Furie R: “Systemic lupus erythematosus in Perioperative Management of the Patient with Rheumatic Disease.” Edited by Brian Mandell. Springer, in press.